Winds are South at 9.2 MPH (8 KT). The pressure is 1004.0 mb and the humidity is 79%. The wind chill is 23. Last Updated on Apr 19 2019, 7:53 am AKDT. Snow before 10am, then snow showers, mainly after 10am. High near 29. Southeast wind 5 to 10 mph increasing to 10 to 15 mph in the morning. Chance of precipitation is 80%. Total daytime snow accumulation of less than one inch possible. Snow showers, mainly before 1am, then snow likely after 1am. Low around 22. Southeast wind 20 to 25 mph. Chance of precipitation is 80%. New snow accumulation of around an inch possible. Snow likely before 7am, then snow showers, mainly after 7am. High near 34. Southeast wind 20 to 25 mph. Chance of precipitation is 80%. New snow accumulation of around an inch possible. Snow showers. Low around 27. East wind 15 to 20 mph. Chance of precipitation is 80%. Snow before 1pm, then rain likely between 1pm and 4pm, then rain and snow likely after 4pm. High near 38. East wind around 5 mph. Chance of precipitation is 80%. Snow likely before 10pm. Cloudy, with a low around 29. East wind around 10 mph. Chance of precipitation is 60%. A chance of rain and snow after 10am. Cloudy, with a high near 37. Chance of precipitation is 50%. A chance of rain and snow showers before 10pm, then a chance of snow showers. Cloudy, with a low around 25. A chance of snow showers before 10am, then a chance of rain and snow showers. Mostly cloudy, with a high near 36. A chance of rain and snow showers before 10pm, then a chance of snow showers. Mostly cloudy, with a low around 23. A chance of snow showers. Mostly cloudy, with a low around 24. The Municipal Affairs Committee gathers all proposed legislation at the state and municipality level that may impact businesses in Anchorage and work with the Anchorage Chamber board of directors, along with members, in an effort to develop advocacy actions that will ensure a successful business climate. This committee is open to the public. Please RSVP to attend. The Young Professionals Group (anchoragechamber.org/young-professionals-group) is hosting a "Business After Dark" social mixer at Matanuska Brewing Co. for drinks, food, awesome door prizes, and some good laughs and great networking! For 51 years, the Anchorage Chamber has helped preserve the cleanliness and beauty of its city through the Citywide Cleanup Week. Thousands of volunteers come together to collect millions of pounds of trash and dispose of it at local dumping and landfill stations. This week-long event is a way for businesses and the Anchorage Chamber to give back to the community and take pride in and ownership of Anchorage. Clean up throughout the week and share your cleanup pictures with #anccitywidecleanup. Pick up 2 orange Citywide Cleanup trash bags per person at any local Fred Meyer or Red Robin location and cleanup around your neighborhood with your family. Sign up a team of friends or coworkers HERE and pickup a stack of orange trash bags from the Anchorage Chamber office. Plan a company-wide cleanup day at work and take the afternoon off to cleanup around your office building. You could even plan a BBQ or picnic and turn it into a great team building activity. Participate in the Citywide Cleanup Kickoff Event! Click here for more event information. Click here for trash disposal instructions. Join us as we kickoff Cleanup Week! Kicking off Anchorage Chamber Citywide Cleanup Week in a neighborhood near you! As the snow melts, we are left with garbage covering our roadways, parks and trails. We need your help! Join your community & Anchorage's dedicated trash haulers in various commercial neighborhoods around town to clean up what winter left behind! It's because of volunteers like you we are able to remove tons of trash each spring - returning Anchorage to the clean, healthy, safe and beautiful place we call home. Grab a group of friends, choose a collection station from the list below, and spend the afternoon making a difference in our community. Orange Citywide Cleanup trash bags, gloves, and trash disposal will be provided at each participating location during the 4-hour event. Help the Northern Waste team cleanup the surrounding areas between Dowling Rd & Dimond Blvd. Bring the family! Kids LOVE the garbage trucks! Take a seat in the truck, seat how it works, & honk the horn! Complete with refreshments & door prizes! Assist Blue Arctic Waste Solutions cleanup Eastside. Compete to pick up the most trash in order to WIN a free night stay in a studio suite at Staybridge Hotel, a kids bike, or restaurant gift cards. There will also be FREE coffee and doughnuts! Join Denali Disposal Inc. at the Carrs Safeway on Huffman for an afternoon of fun as we clean up the Southside!Anchorage Sand & Gravel will be grilling up a hot dog barbecue generously sponsored by Carrs Safeway and 7 Up of Alaska. Prize giveaways provided by Healthy Futures, Bradley House, Get Air, H2Oasis, Uncle Joe’s and more! Alaska Waste is joining with Spenard residents and businesses for Citywide Cleanup! There will be plenty of food, games & door prizes for participants of all ages who come to help rejuvenate Anchorage. On April 27 and May 4, Solid Waste Services will accept free residential loads (no larger than a pickup truck) from Anchorage residents from 8 A.M. to 5 P.M. at the Anchorage Regional Landfill. The Girdwood Transfer Station will also accept free residential loads from 10 A.M. to 5 P.M. Please note that the Central Transfer Station will be closed on these two Saturdays. All loads must be secured or covered to prevent littering in transit. Uncovered loads will be subject to fines. Visit Muni.org/sws for more information, or call (907) 343-6250, Monday through Friday, 8 A.M. to 4 P.M.
Don't forget to continue cleaning up throughout the week and share your photos on social media using the hashtags #anccitywidecleanup. CLICK HERE for more info on Citywide Cleanup Week, team registration, and sponsorship opportunities. The presentation includes contains updated information about the latest online threats. 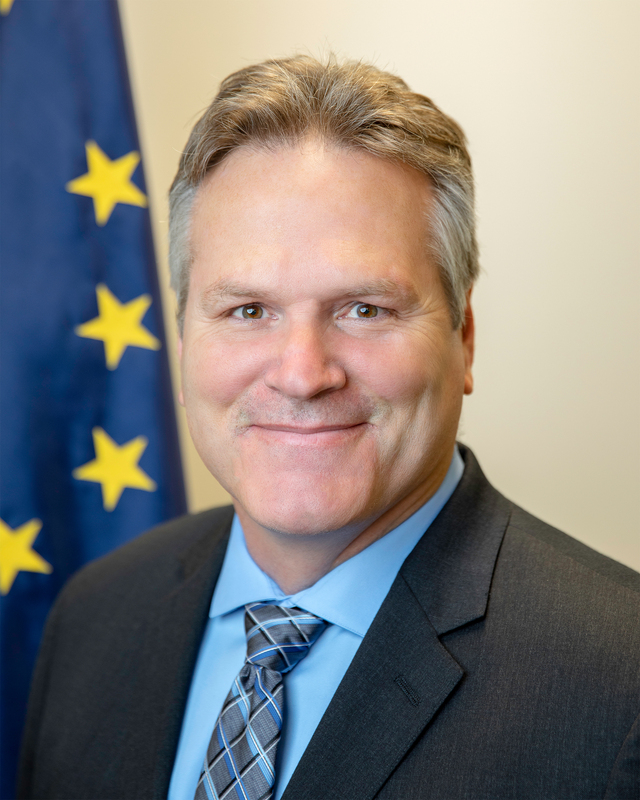 Mr. Mason will speak about the cybercrime economy, the current threat environment including actual trends affecting Alaskans, and concrete steps that individuals and businesses can take to safeguard their computers, networks, and bank accounts from attack. Mike Mason is e-Payment Electronic Funds Transfer section head within the IT Division of First National Bank Alaska. He has experience in the coordination, planning and support of call center operations. Mason is a subject matter expert on ACH, Wires, Corporate Card Expense Report Management, Cyber Security, and Disaster Recovery Operations. His team is responsible for ACH and Wire operations, administrator training and providing technical support and expertise to corporate clients. Mike has 17 years of experience providing technical support; 10 at First National Bank Alaska and seven outside the banking industry.